We always need volunteers for special projects in the library. By sharing your time and talents with us, you can make a big difference in the quality of library service in our community. Our volunteers range in age from 15 to 92. Some do short-term projects, some come in week to week, and some stay for many years. Volunteering looks great on college and job applications. You can also fulfill community service requirements for advanced high school diplomas at the library. We provide training for all of our volunteers. If you are in between errands, if you have even a half an hour to spare, come on in! Once you’re trained, these five tasks don’t need to be scheduled, but we’d appreciate a call ahead. Special skills needed: We especially need volunteer photographers/videographers for library events. 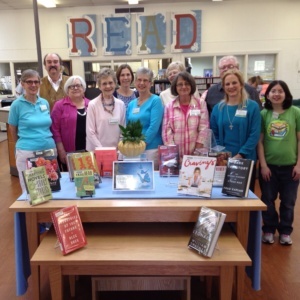 You can apply to volunteer at any of our five libraries. Here’s how! Use our online Adult Volunteer Application Form. Use our online Teen Volunteer Application Form.